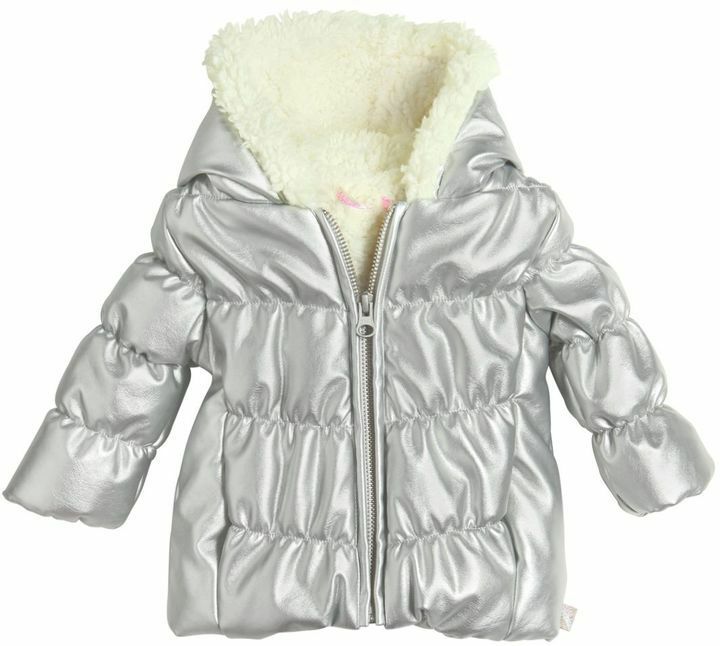 Choose a Billieblush faux leather faux shearling jacket and black trousers for your child to create a smart casual look. As far as footwear is concerned, suggest that your tot throw in a pair of black boots. 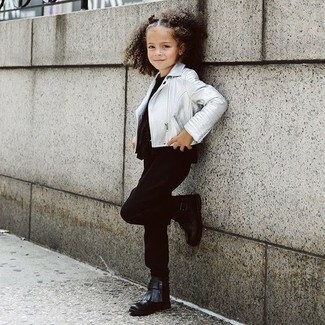 Choose a Billieblush faux leather faux shearling jacket from LUISAVIAROMA and a grey star print skirt for your darling for a beautiful casual get-up. The footwear choice here is pretty easy: finish off this ensemble with pink leather boots. 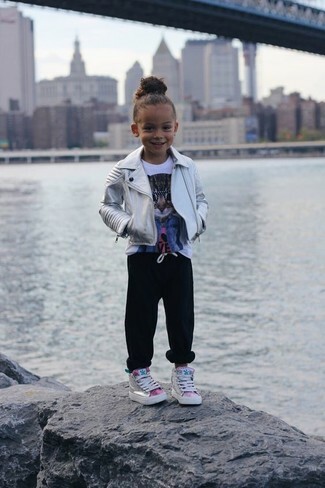 You'll have no problem tempting your little princess into wearing this combo of a Billieblush faux leather faux shearling jacket and black sweatpants. Complement this ensemble with silver sneakers.